April 28th marks the World Day for Safety and Health at Work. This annual international campaign aims to promote safe, healthy and decent workplaces across the world. Creating a safe work environment is essential for businesses and understanding the workplace health and safety laws is critical for both employees and business owners. 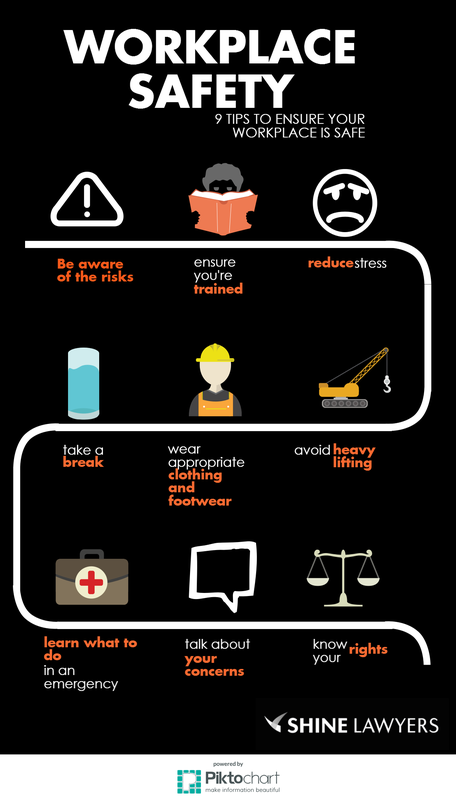 To celebrate World Day for Safety and Health at Work, Shine Lawyers has prepared 9 top tips to promote safety in the workplace. No matter your occupation, it's important to understand the particular hazards of your job and workplace. Only then can you take the appropriate steps to reduce your risk of work-related issues. Ensure you have access to adequate training for the tasks you're required to carry out. When it comes to workplace accidents, it's better to be safe than sorry. Don't perform any tasks until you've received proper training and are aware of any potential hazards involved. Reducing stress is critical in maintaining safe work environments. Common causes of stress include long hours, job insecurity, heavy workload and internal conflicts. Staying fresh, alert and taking regular breaks helps to avoid burning out and allows you to concentrate better, especially with tasks that require caution. When you're at work, it's crucial to comply with safety regulations relating to appropriate protective clothing and equipment. These should be worn whenever necessary as the proper safety equipment can dramatically reduce your risk of a workplace accident. Avoid trying to lift or carry heavy objects where possible. Instead, try to use mechanical aids such as conveyor belts, cranes or forklifts. Learn and understand what to do and where to get help in the event of an emergency. Always ensure all emergency exists and equipment are easily accessible. It's important to discuss any hazards or risks with your employer. It's their duty to ensure a safe working environment. If you're unsure about your rights, seek advice from an external union about workplace safety issues. 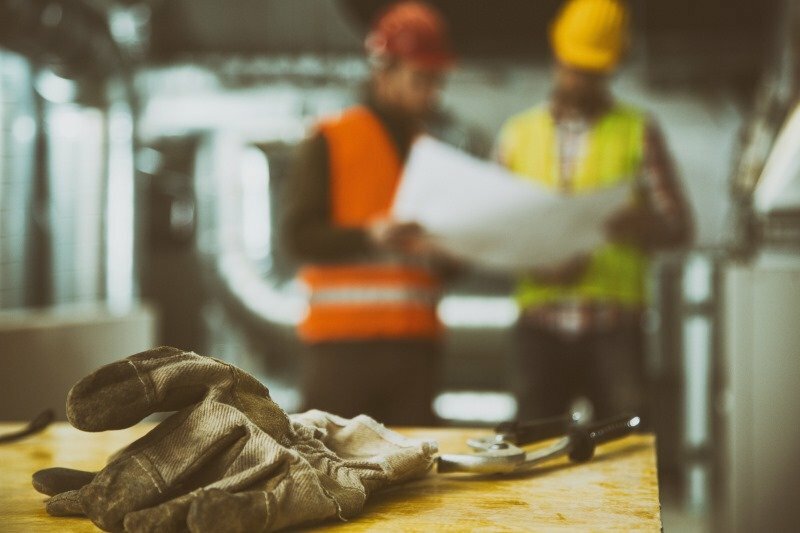 Complying with workplace health and safety protocols can prevent mistakes and issues within your workplace and can help maintain a successful business. The World Day for Safety and Health at Work is a reminder to all business owners and employees of the significance of safety and following these protocols in order to provide suitable working environments and facilities. Written by Shine Lawyers on April 27, 2015. Last modified: September 23, 2018.